When it comes to staying on top of your finances there are few things that can have such a lasting impact as your credit history. Many people have heard the terms “credit report” and “credit score” before and many of you know what is a good credit score, but not everyone knows exactly what each means, and few are privy to the important details that make up each. The fact is, having good credit is critical for anyone that would at some point like to get a loan, credit card, buy a house or car, rent an apartment, or even get a job. By keeping on top of your credit history you can rest easy knowing that others view you in a positive light financially. One of the most confusing aspects for many people is the credit score. While you probably know that it’s important to have a high score you may not know exactly what makes up your score. Put simply, your credit score is a numeric representation of your credit history. While credit history and score are not the same, they are invariably tied to one another. In other words, it is unlikely that someone with bad credit history will have a good credit score or that someone with a great credit history will have a low score. The credit score you will typically concern yourself with is the FICO score. Your FICO score will be directly affected by anything that has impact on your credit and your score will fluctuate over time based on the additions and subtractions to your credit history. Everyone starts without credit and it must be built from scratch. Establishing credit can be as simple as taking out a loan or obtaining a credit card. Those are good things for your credit, but unfortunately you can start off on the wrong foot. Make a late utility bill payment or miss a credit card bill and you’re establishing credit, but in a bad way. While maintaining a good standing with lenders and financial institutions will work to maintain and improve your credit, the opposite is also true. If you get in over your head with loans and credit cards you may find it difficult to make payments on time. Missing payments can be detrimental to your credit score and this is where the relationship between your score and your report comes into play. Each time you are late or miss a payment, it will generally be reported by your lender to a credit bureau. The neglected payment will then be attached to your credit report, which will cause your score to drop. Even worse, that one missed payment sticks with you for 7 years! So as long as that negative mark is on your credit history it will have a negative impact on your credit score. The impact diminishes over time, but it will be with you for years. Some people underestimate the importance of having good credit history mainly because they feel that they don’t need to borrow money at the moment. While this may be the case now, there will almost certainly be a time in your life when you will need to rely on your credit history. When it comes time to try to get a mortgage on a new home your lender is not going to be all that willing to lend possibly hundreds of thousands of dollars to someone who has no existing credit history or a track record of missed payments. Even if you are able to get a loan in this situation you’ll more than likely be paying a higher interest rate than someone with good credit. This can literally cost you tens of thousands of dollars in extra interest over the life of the loan. You will also find that if you don’t have existing credit or damaged credit that it’s nearly impossible to get approved for a decent credit card or any other loan. This creates a Catch 22 because you can’t even establish new credit in an effort to improve your past credit. In this situation you’re stuck relying on time to heal what’s already been done. The best way to avoid a bad credit situation is to only take out loans and credit cards that you know you can afford to pay off, make your payments on time, and make more than the minimum credit card payment each month. If you’ve never checked your credit before there’s never been a better time. In fact, you’re entitled to one free credit report from each of the three main credit reporting bureaus each year at annualcreditreport.com. It’s free, so there’s really no excuse not to be checking up on your credit history each year. When it comes to checking your credit score it’s a little different. As mentioned earlier, your credit history may be tied together, but they aren’t the same thing. That also means that your free credit reports won’t give you an actual credit score. You can make an educated guess in that if you have a clean credit history then you probably have a pretty high score, but to actually get that score you’ll typically have to apply for that separately. Credit Karma is a great free place to check your credit score but there are a few interesting aspects to it, check out my credit karma review for more information on it. 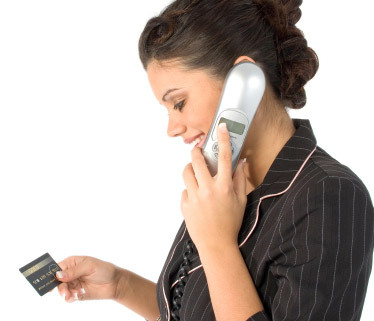 Staying on top of your credit can help you in a number of ways. Most importantly, it will allow you to catch mistakes. Mistakes can and do happen, and there could be an inaccurate late payment or other negative mark dragging down your credit. If that’s the case you can spot it and get it removed or put a freeze on your credit report to help prevent anything happening on your credit. Keeping up with your credit will also help you spot possible identity theft, incorrect names or addresses, and help put you ahead of the game if you’re going to be soon shopping around for a loan. You can also check your credit score for free at the site creditkarma.com, which is owned by TransUnion. Or you can get a free estimate of your FICO score at MyFico.com. I check my credit with the site you metioned 3 times a year to keep it free. I see no reason that we have to use expensive sites that "monitor" our credit when we can do so free.